Having risen steadily over the past five months, the prevalence of ‘But Her Emails’ comments on Facebook has topped 50%. This is due to a recent steep rise in the phrase appearing online as a caption of Handmaid’s Tale memes, and the trend is expected to continue. Though overuse like this normally diminishes the power of a phrase fairly quickly, the extreme levels of anger behind the amusing comment appears to be counteracting that effect. 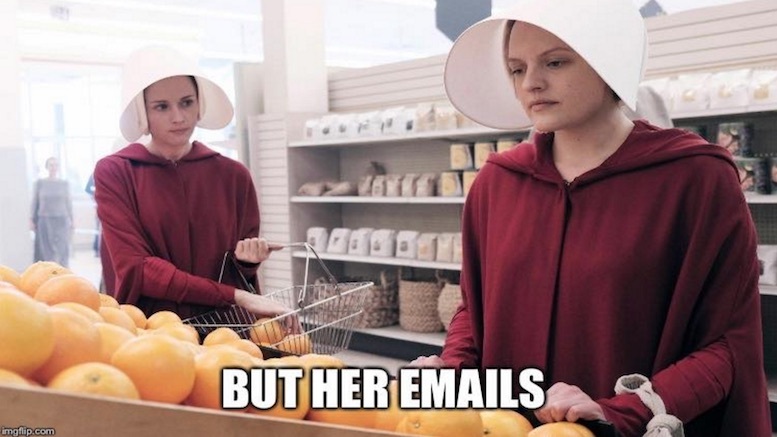 At this rate, technology experts project the entire social media universe will consist of nothing but the phrase ‘But Her Emails’ by the end of the year. Be the first to comment on "‘But Her Emails’ Now Accounting For Over 50% Of Comments On Facebook"